The Catalan capital is full of beautiful attractions, however you must make sure that you take a trip to the Tibidabo Amusement Park. It is not just one of the oldest amusement parks in Spain, but also offers a beautiful panoramic view of the entire city. You can see it from almost any point in the city and is simply breathtaking. 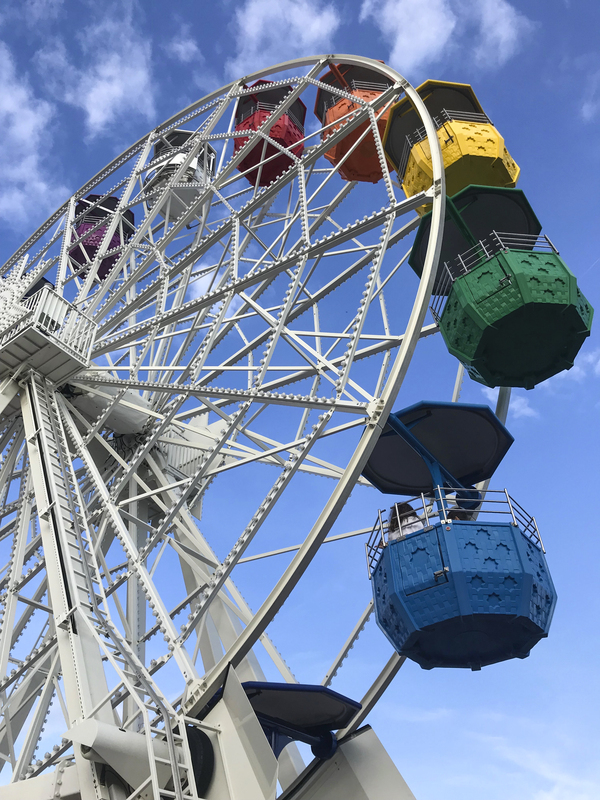 In this article, you will find information about the attractions at Tibidabo, the different tickets available, the opening hours, the restaurant and hotel, how to get there and the history of Tibidabo for the curious readers. At the end of the article, I will give my personal review of the attraction. Thinking of visiting this iconic attraction in Barcelona? Do not miss our selection of long term rentals in Barcelona. See you soon in Barcelona! The Tibidabo mountain not only offers a unique view of the entire city of Barcelona, it is also one of the oldest amusement parks with restaurants and over 30 attractions. 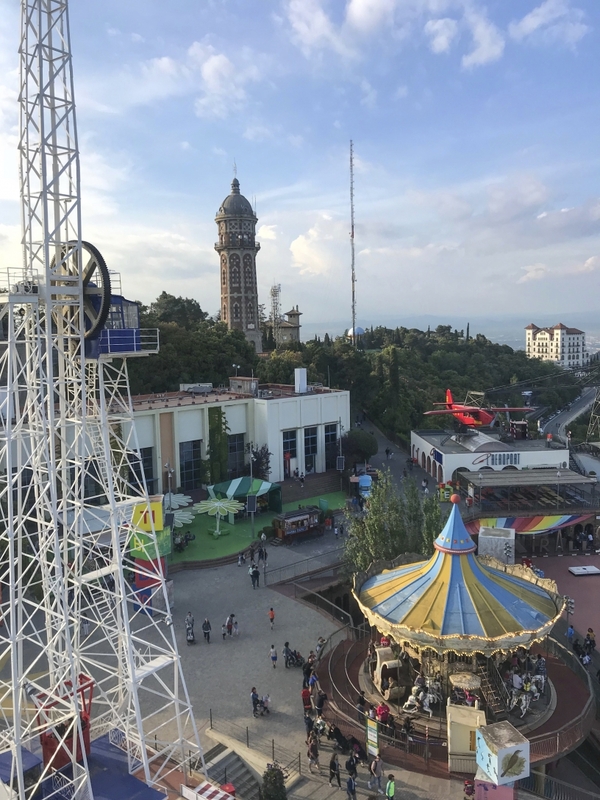 Visiting the Tibidabo Amusement Park (Parc d’atraccions Tibidabo) is a great excursion for the whole family, but also worth a visit for adults. Many of the rides are still originals from the 20th century and create a similar nostalgic charm to the Vienna Prater. The park was opened in October 1901 and launched along with a cable car, by the Spanish pharmacist Salvador Andreu. It covers 7 hectares and initially only had a few, quite small rides. Now there are over 30 attractions, the Free Fall Ride and the big roller coaster are the newest. Since 2000, the park belongs to the city of Barcelona. The amusement park, the Tramvia (a tram) and the funicular were built altogether, with which one arrives at the park. The ride to the park is an attraction in itself. By the way, according to a legend, the name Tibidabo goes back to an encounter between Jesus and the devil. The devil wanted to tempt him and said, "Haec omnia tibi dabo si cadens adoraberis me." In English: "All this I shall give you if you kneel and worship me". The park offers a variety of attractions, although they cannot surpass modern theme parks. You can see that this park is over a hundred years old in every corner, but this delivers a very special charm of its own. Therefore, you only get a real adrenaline rush with a few rides. The amusement park is more suitable for families with smaller children who enjoy the carousel ride or a colourful train ride through the park. The park is not comparable to modern amusement parks, where the rides for adrenaline junkies are located. Mainly, rather slower attractions for the whole family are offered, such as a mirror cabinet, swings, carousels, pirate castle, horror hotel "Krüger", Tibidabo Express or a ghost castle. A list of all the attractions can be found here. 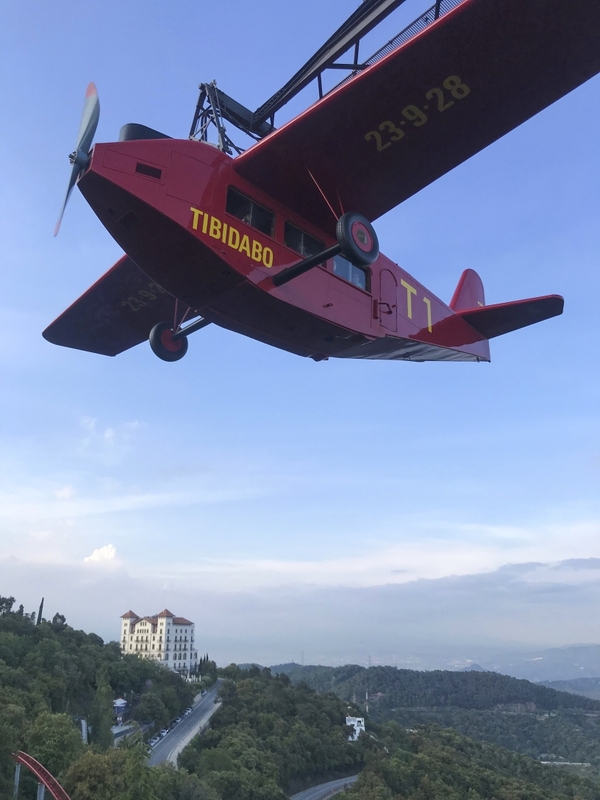 The top level "The Sky Walk" offers traditional rides such as the Ferris wheel "Giradabo" or the Tibidabo aeroplane "Avió", with which even Scarlett Johannson has flown. You can go on these rides with single tickets or multiple tickets. The actual park begins one level lower. On the next levels you will find a waterslide, carousel or a Pony Rodeo and many more. The many levels may seem a bit confusing at first glance, so it's best to look at the overview map you get at the entrance. Also try the automatic museum "Museu d 'Automates", with old slot machines, jukeboxes and toys! Of course, the park also has a rollercoaster, the "Muntanya Russa". The route may not be too special and you may not get the adrenaline rush, but from there you can "enjoy" the best view. You float 500 meters above sea level and race through the forest at 80 km / h. This is definitely an unforgettable experience. The fixed plane also offers a breathtaking view of the entire city and travels round over the abyss. Unfortunately, you have to queue here for a long time and the journey is very short. Many years ago, this was the closest people got to flying on a plane which made it very popular. The big ferris wheel is located at the highest point of the Tibidabo mountain and in my opinion, offers the best view over the city. With good weather you can see the sea. Here, the queue is definitely worth it and this attraction is certainly not only suitable for children. The access to the park or skywalk is free. The great view of Barcelona can be enjoyed completely free of charge from the observation deck. If you visit the park with your children, then a ticket for the entire park is worthwhile. Otherwise, I recommend taking a look around first, let the park's nostalgia soak and then buy individual tickets for the top-level attractions. Another option for saving money is the membership in the "Tibiclub". You will benefit from free parking, free use of the bus and funicular, as well as a discount on all tickets. More information can be found here. If you want to be sure, then it is better to take a look at the current schedule on the official Tibidabo Park website. A long day in the fresh air makes you hungry and of course, this will be taken care of. In the Tibidabo Amusement Park, there are several ways to build up your strength for the next rollercoaster ride. There you will get the typical Spanish churros with hot chocolate. If you don't feel like something sweet, you can order a portion of fries too. A small kiosk, with everything your heart desires. Iberico ham, cheese, olives and of course cold beer. The kiosk has a terrace with a beautiful view. The only drawback: The beer is sold in colourful plastic cups, which is why I decided to drink somewhere else. At the Danone kiosk, you will find their famous, delicious frozen yogurts, milkshakes, coffee and many other delicacies. Here you will find a variety of food, from salads, tapas to sandwiches. Everything was very delicious and the beer is served in a glass (!! ), ice cold and fresh! However, rarely I have seen such slow service, so be prepared to wait 15 minutes for your beer... Here you can either sit outside on the terrace or enjoy the air conditioning inside. Delicious churros and much more! If Tibidabo fascinates you with its unique view, you can even spend the night there. Directly in the park there is the 5-star Gran Hotel La Florida. The price starts here at about 200 € a night. More information can be found here on the official website. The adventure already begins on your way to Tibidabo, because it is anything but ordinary. The Tramvia Blau is a nostalgic jewel, as is the Tibidabo Amusement Park. It has existed since 1901 and was the only tram in Barcelona for a long time. Whilst driving up the mountain you will already have a great view of the city until you reach the beginning of the cable car station. Of course, you can also travel by car or take a rental car. Tibidabo-Vall de Hebron parking: 4,20 € / day and access to the park by shuttle bus. 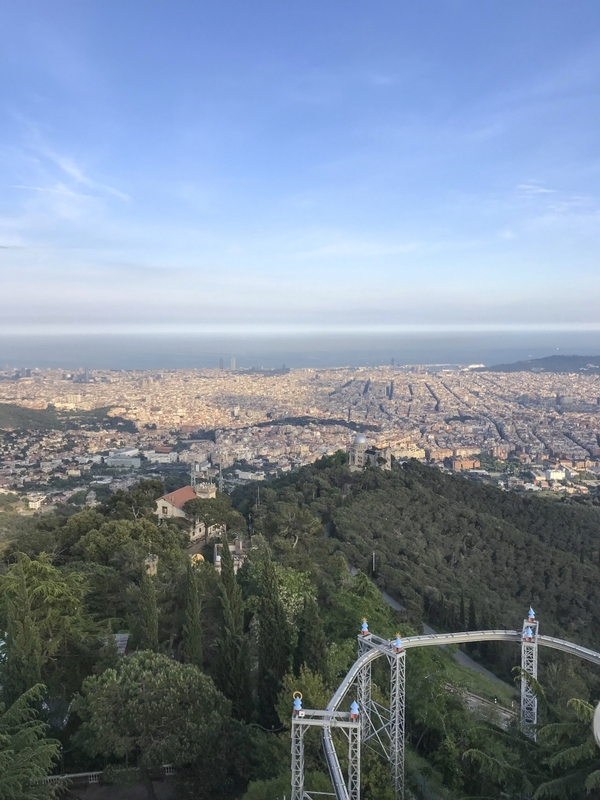 The history of Tibidabo goes back to the year 1900, when construction began on the Tramvia Blau tram and the funicular railway to facilitate access to the summit. At the same time, the landscaping and construction of buildings and terraces began, until the park officially opened its doors in October 1901. It was built by the pharmacist Salvador Andreu and put into operation together with the funicular. The main attraction of the time was the funicular, which was an innovative means of transport during this period. In the first decade small attractions such as telescopes and binoculars, swings, the shooting hall Flobert, bowling, mirrors, and the pigeon station were presented. To get a better view of the fantastic view of Barcelona, the 50 m high observation tower Talaia was built in 1921. In 1924 the Hotel La Florida was opened. Of course, the park has also experienced difficulties. Due to the Second World War in 1936 and the subsequent dictatorship, the park came under collective control and suffered some damage. In the post-war years, the park was restored by Dr. med. Andreus' family, who also expanded the park to include new attractions. In 1958 the old funicular was overhauled and the park experienced its golden age. To alleviate parking problems, a new parking garage was built in 1978 for up to 500 cars. Around 1980, numerous facilities were modernised and many other attractions added, such as trampolines, a spaceship and a 180º cinema. In the late 1990s, however, the company was in a protracted financial and management crisis, which endangered the future of the amusement park. It even had to remain closed at certain times. The situation became unmanageable and the company finally went bankrupt in 1999, which ironically marked the 100th anniversary of the park. Subsequently, the park was taken over by the city and by austerity measures and price adjustments, a positive result continues to be achieved in recent years. However, in a fatal accident in 2010, a modern ride collapsed after the foundations broke, killing a passenger. 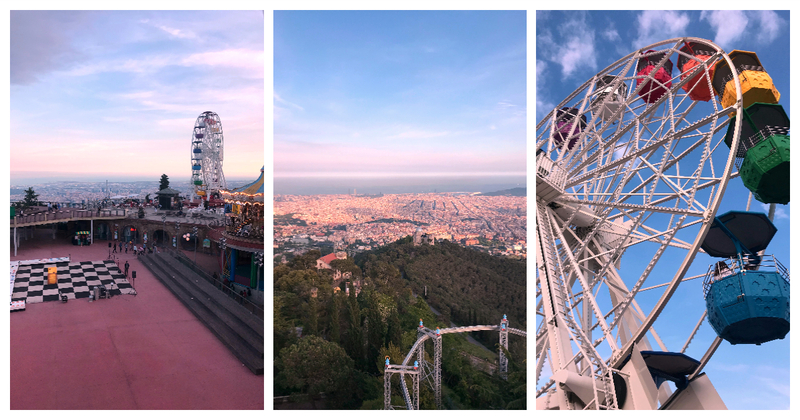 There are lots of different sights to see on your trip to Barcelona and Tibidabo should definitely be one of them! It is a beautiful destination for everyone, regardless of age, to enjoy the breathtaking panoramic views over the city. The park may not offer the most modern attractions, but you can spend a wonderful day there and be transported back to an earlier age. In good weather you can see many sights of Barcelona in addition to the sea and the beach - Gaudí's Sagrada Família, Gaudí's Park Güell, the famous La Rambla promenade, the home ground of FC Barcelona "Camp Nou" and if you're blesses with good weather, Montserrat. I would definitely recommend!! Great view, nice park. Simply a great destination. Cool little amusement park with more historical than entertainment value. Just to come to this park is an event in itself. For some annoying, for others a treat. Metro, cable car, funicular and a lot of walking.